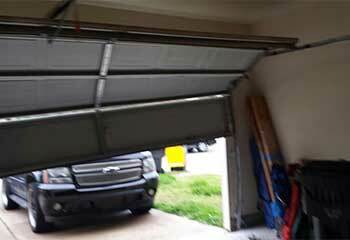 When you need garage door maintenance, our top-quality experts are at the ready for fast, friendly, and affordable service. 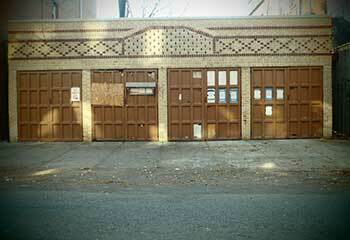 Check out our latest projects for proof that our repairs are always the best in the business! 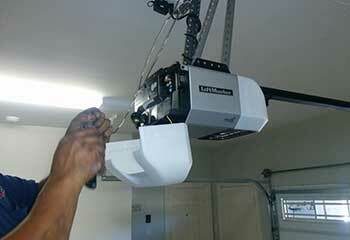 Our Solution: Because the customer was looking for a quieter and safer model we offered him the LiftMaster 8550 Elite series belt drive garage door opener, which came with an integrated battery backup system. It answered all of his criteria, and we proceeded to install it for him and made sure he knew how to use the unit's different features. Our Solution: We presented the customer with a number of different models and he chose the contemporary look of an insulating faux-wood steel garage door from the Clopay CANYON RIDGE® collection and the ULTRA-GRAIN® series. We then installed it for him and made sure he was completely satisfied with it. Customer Issue: The door has gotten hit by accident and got knocked off the track. Our Solution: Re-aligned and enforced the tracks, got the door back on and made sure it was moving safely. 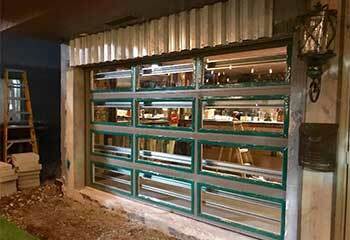 Our Solution: We carried out a complete installation of a brand new glass Clopay Avante. Customer Issue: The door wasn't moving as a result of a broken spring. 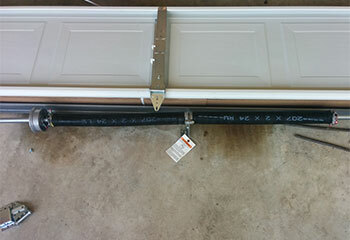 Our Solution: We installed a brand new set of torsion springs, and tested the door's balance.